Physicists Arthur Askin, Gérard Morou and Donna Strickland were jointly awarded the prize. Lasers were the theme of the Nobel Prize for Physics in 2018. 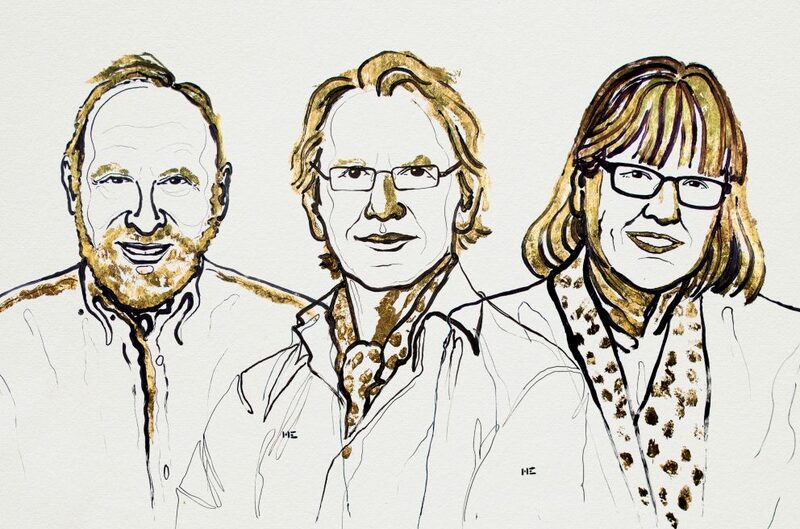 The prize was awarded jointly to three people whose work in developing ways to manipulate lasers has opened up new areas of study in medicine and microbiology. One half of the nine million Swedish krona (about a million U.S. dollars) prize was given to Arthur Ashkin for his invention of optical tweezers, while the other half was given jointly to Gérard Morou and Donna Strickland, who created the shortest and most intense laser pulses ever made. Two out of the three awardees set new precedents for what winners of the prize can look like. Ashkin, at 96, is the oldest person to ever receive a Nobel Prize. His invention of optical tweezers, first discovered in 1987, has allowed for the study of easily-damaged particles (including living cells), which up to this point could not be manipulated without dying. “Advanced precision instruments are opening up unexplored areas of research,” commented the Nobel Prize Twitter page. While Ashkin is honored to receive the prize, he will be unavailable for interviews, due to his focus on his most recent paper. The article that Strickland pioneered with Morou was first published in 1985 and served as the beginning of Strickland’s doctoral thesis. The press release for the Nobel prize described their method as creating “ultrashort high intensity lasers.” This led to a laser that was far more precise than anything created before. The technique, now dubbed “chirped pulse amplification,” has since found many uses in the scientific community, but the largest impact has been its utility in corrective eye surgeries, due to its ability to drill extremely precise, extremely small holes. In the press release for the Nobel Prize in Physics, the article concludes that the work of Strickland, Morou and Ashkin “allow us to rummage around in the microworld in the best spirit of Alfred Nobel – for the greatest benefit to humankind.” These inventions, while seemingly removed from day to day life, have become commonplace in medical practices that help millions.